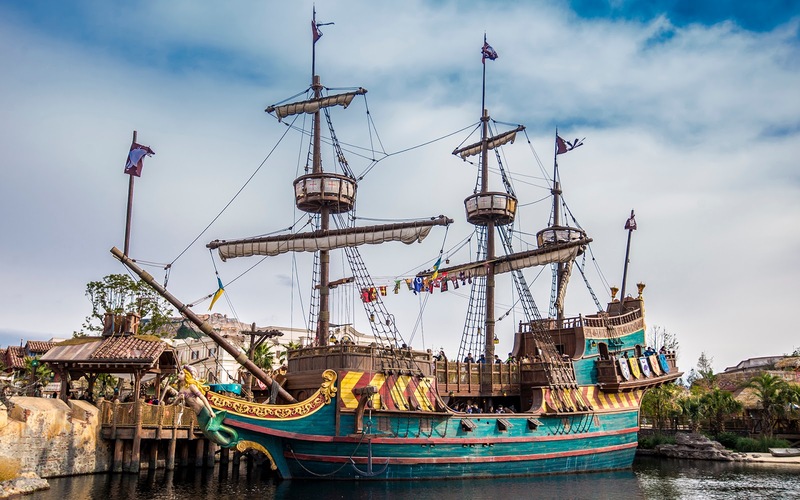 What's the first ever pirate-themed land in a Disney park without a pirate ship moored at a dock and open to guests to climb aboard and explore? Fortunately, that is exactly what the Siren's Revenge presents at Shanghai Disneyland. Docked in the Caribbean town that makes up Treasure Cove, this galleon has a cozy feel and serves as a nice overlook onto the water. But it's nice to take photos of the ship as well! A life size (or "life size") pirate ship is ripe for exploration at Shanghai Disneyland's Treasure Cove!